The New 7 Wonders Foundation is a Swiss-based organisation established in 2001 by Bernard Weber. The organisation seeks to contribute to the protection of the world’s man-made and natural heritage and to foster respect for our planet’s diversity. In 2012 the New 7 Wonders Foundation revealed a list of the New 7 Natural Wonders of the World. The list featured natural attractions from across the globe and was voted for by the general public. Below we have listed each of the new seven wonders of nature and highlighted just what makes these places special. The Amazon Rainforest or the Amazon Basin encompasses seven million square metres The Amazon Rainforest accounts for over half of the world’s remaining rainforests. The Amazon is the largest and most species-rich rainforest in the world. The Amazon Rainforest is sustained by the Amazon River, the largest river in the world by volume. The Amazon River has the largest drainage basin on the planet and not a single bridge crosses it. Location: Ha Long Bay is located in Quang Ninh Province in Vietnam. The Bay coastline stretches for 120 kilometres with about 1969 islets scattered in it. Many of the islands are hollow with enormous caves while others support the floating villages of fisherman. 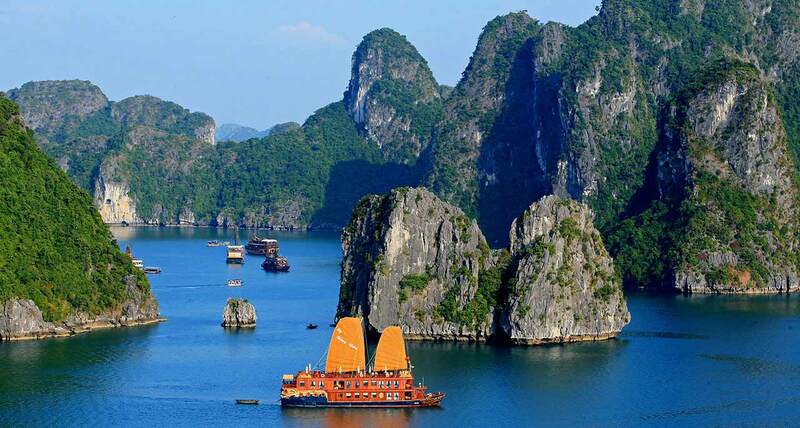 The limestone islands in the Ha Long Bay are well known for the abundance of enclosed lakes. Most popular is Dau Be island which has six enclosed islands. Location: The Iguazu Falls are located on the borders of Argentina and Brazil. The Iguazu Falls in the Iguazu River is one of the world’s largest waterfalls. The Iguazu Falls is on the border of Brazilian state of Perana and Argentina’s Misiones province. The falls are surrounded by two National Parks, both are subtropical rainforests and hosts to hundreds of endangered species. Location: Jeju Island is 130 kilometres off the southern coast of Korea. Jejudo is a volcanic island. The largest island and the smallest province in Korea. Hallasan, the tallest mountain in South Korea and a dormant volcano, is a central feature on the island. The Komodo National Park is made up of three large islands (Komodo, Rinca and Padar) as well as numerous smaller islands. The park was founded in 1980. The Komodo National Park does not only protect the well known Komodo Dragon but it is dedicated to protecting other species as well, including marine animals. Widely known as the world’s longest underground river, the Puerto Princesa underground river is part of the Puerto Princesa Subterranean River National Park. The underground river runs for 8.2 km through a cave before flowing into the South China Sea. The cave features major formations and several large chambers. The lower portion of the river is subject to tidal influences. Table Mountain is an iconic feature in South Africa. It is the most recognised site in Cape Town, the gateway to Africa. The flat-topped peaks reach 1086 metres above sea level and is home to the world’s richest and smallest floral kingdom. eAfrica Safari Tours has a wide range of Cape Town day tours that will take you on visits to both man-made and natural sites around the city. A visit to the summit of Table Mountain is an absolute must during your stay in Cape Town. There are so many other natural wonders across the globe besides the seven mentioned above. Take time out to marvel at your natural surroundings. Go for a hike in the nearby forest or have a picnic in the park. There are so much to see and discover. If you are really keen for adventure contact the consultants at eAfrica Safari Tours and book one of our safari or day tours. We have compiled the definitive checklist to prepare you for your next safari holiday. 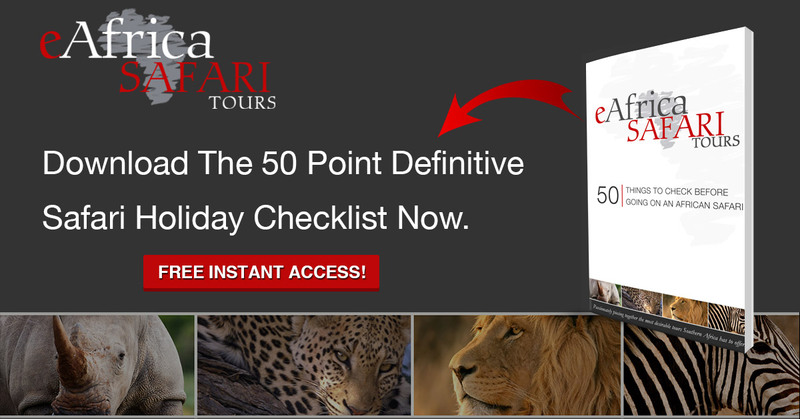 Click here to download your free copy of the eAfrica Safari Tours checklist.